Harry How/Getty Images Matt Kemp couldn’t believe he was called out at first base in the sixth inning. Andre Ethier extended his hitting streak to 26 games tonight, but it was a rare defensive show on his part that almost saved the Dodgers from what eventually became a 5-2 loss to San Diego. With the Dodgers leading 1-0 in the top of the fifth inning, Ethier made a diving catch in right field with the bases loaded and one out. He then got to his feet and fired home, just in time to get Cameron Maybin (who had thought Ethier wouldn’t catch the ball and had to go back to third base to tag up). But Dodger catcher Rod Barajas couldn’t hold onto the throw, and Maybin scored. Mark J. Terrill/AP Dioner Navarro couldn’t convince the ball to stay in his glove to get Chase Headley. The Dodgers later came back from a 2-1 deficit to tie on Tony Gwynn Jr.’s pinch-hit RBI single in the bottom of the seventh, but more misfortune near the plate in the top of the eighth helped the Padres put across three runs. With the bases loaded and two out, Matt Guerrier bounced a curveball that backup catcher Dioner Navarro tried but failed to backhand, allowing the go-ahead run to score. Soon after, an error by Navarro on a throw home by Jerry Sands enabled the Padres fifth run to score. Say what you will about Jonathan Broxton, but the Dodger relief pitching continues to be shaky almost entirely across the board. After Vicente Padilla walked two batters and barely escaped Friday’s eighth inning, Guerrier had his second-straight Saturday eighth-inning loss, allowing the three runs on three hits (interspersed with two intentional walks). Of course, the Dodger offense didn’t offer much, outside of Ethier, who went 2 for 4 to finish April with 40 hits, tying a Dodger record with Rafael Furcal (2008) and Mike Piazza (1996). Matt Kemp had one hit and was robbed of a second on a questionable call at first. Outside of the fifth inning, Hiroki Kuroda was just about in seventh heaven, allowing seven baserunners in seven innings with seven strikeouts. Tomorrow morning Dodger players will sign autographs in exchange for a $5.00 suggested donation to help raise funds and awareness for the Southern United States tornado relief efforts. 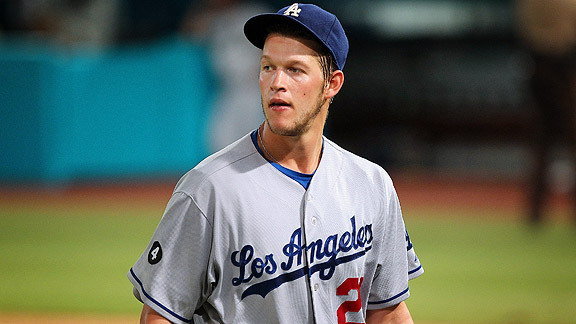 The signing will take place at Viva Los Dodgers between 11:30 a.m.-12:15 p.m. in Lot 6. The club will hosting another signing on Tuesday at Autograph Alley and will also be accepting donations or school supplies at donation booths during the upcoming series against Chicago. Those expected to participate in the signing sessions tomorrow include Manager Don Mattingly and Pitching Coach Rick Honeycutt and players Clayton Kershaw, Jonathan Broxton, Chad Billingsley, Matt Guerrier, Lance Cormier, Marcus Thames, Tony Gwynn Jr. and Rod Barajas. – MLB executive vice president of labor relations Rob Manfred to Richard Sandomir of the New York Times. Recap of Friday’s 3-2 Dodger victory over the Padres, punctuated by Ted Lilly’s starting pitching, Andre Ethier’s 25th straight game with a hit, homers by Juan Uribe and Matt Kemp, and Tony Gwynn Jr.’s game-saving catch. Mike Petriello of Mike Scioscia’s Tragic Illness has more. “I’m right, everyone else is wrong” interviews with Frank McCourt by Tony Jackson of ESPNLosAngeles.com and Bill Shaikin of the Times. Steve Dilbeck’s takedown of McCourt in the Times. Tom Schieffer’s just here to help. Carlos Santana snapping out of his slow start with a walkoff grand slam for the surprising Indians. Jim Murray in a wonderful reminiscence from 50 years ago today about Los Angeles’ old Wrigley Field, via the Daily Mirror. Casey Blake has officially shuffled to the disabled list, with the Dodgers calling up Russ Mitchell to take his spot on the active roster. On the relatively bright side, Juan Uribe and Marcus Thames are healthy enough to make their first starts in some time, while James Loney rests against Padres lefty Clayton Richard in favor of Jerry Sands at first base. Not resting against the lefty is Andre Ethier, who will try to extend his hitting streak to 25 games. Ethier is 6 for 29 with one walk against lefties this season. Lefty batters hit .228 against Richard last season and are 7 for 24 (.291) this season. Tony Jackson of ESPNLosAngeles.com has a nice feature on Ethier’s march, while Keith Hawkins of ESPN Stats and Information shows that only once during the streak has there been suspense in the ninth inning. That was when Ethier doubled ahead of Matt Kemp’s walkoff homer to beat St. Louis. Frank McCourt is doing another round of interviews today, this time in Los Angeles, so expect to see lots of coverage soon. In the meantime, I have to comment on this quote from nascent Dodger vice chairman Steve Soboroff in Bill Shaikin’s story in the Times earlier today. “I guarantee you there is no owner or prospective owner in Los Angeles that has a better handle on the community than we do,” Soboroff told Shaikin. Actually, I don’t have to comment. The words speak for themselves, don’t they? For all the chaos surrounding the Dodgers, I’m going to argue that the Atlanta Braves have had a worse week — thanks to a couple of ex-Dodgers. The Atlanta Braves placed pitching coach Roger McDowell on administrative leave Friday while they investigate allegations he made homophobic comments and crude gestures toward fans before a game in San Francisco last weekend. Fangraphs passes along a great Times photo from the Dodgers’ 1978 National League pennant celebration. Note, amid the jubilation, one fan trying to literally steal second, while another appears to fight with Bob Welch for the rosin bag. Mark J. Terrill/AP Corey Smith blasted a three-run home run on the final day of Spring Training against Mariners pitcher Tom Wilhelmsen. Though he had an .898 OPS in Albuquerque last year, Mitchell only has a .281 on-base percentage and .383 slugging percentage this year. Playing first with Chattanooga and then with Albuquerque this year, Smith has a .416 on-base percentage and .993 slugging percentage with three homers, six walks and 12 strikeouts in 77 plate appearances. Smith has played 984 games in the minors at Blake’s position of third base. He hit some of the longest balls of any Dodger in Spring Training, when he was seven for 12 with two doubles, three homers, four walks and one strikeout. He’s this year’s Mitch Jones/John Lindsey: Drafted in 2000, he has spent 12 seasons and 1,365 games in the minors without a cup of coffee in the show. His minor-league numbers this year aren’t that special – playing in Albuquerque (1.143 OPS) has inflated his performance in Double-A (.812 OPS). He has only played one game at third base this year (but take note – it was Thursday). His Spring Training at-bats usually came against minor-leaguers and don’t prove much. All that being said, I’d kind of like to see Smith get the shot – partly for sentimental reasons, partly because I wouldn’t mind seeing what appears to be a bigger offensive threat off the bench. Mitchell also has home run potential, having hit two in his September 2010 promotion last year (while going 6 for 42 overall). But on the theory that the Dodgers will probably continue to start Aaron Miles at third most of the time until Juan Uribe returns, I’m not too worried about Smith’s lack of play at the position this season. Anyway, this will probably all be moot by gametime, but I just thought I’d think out loud about Smith. Dodgers getting cosmic comeuppance for abandoning Brooklyn blah blah blah, by George Vescey in the New York Times. Earlier this week before the latest ownership explosion, the Dodgers filled their security opening by hiring former LAPD captain Rich Wemmer. Mark Saxon of ESPNLosAngeles.com writes about the tragic offseason of Angels rookie Alexi Amarista. Finally, I know you’re sick of hearing about our wedding after all the buildup and global media coverage, but nevertheless, I still want to take this opportunity to wish a happy 11th anniversary to my wife – I love you, honey! 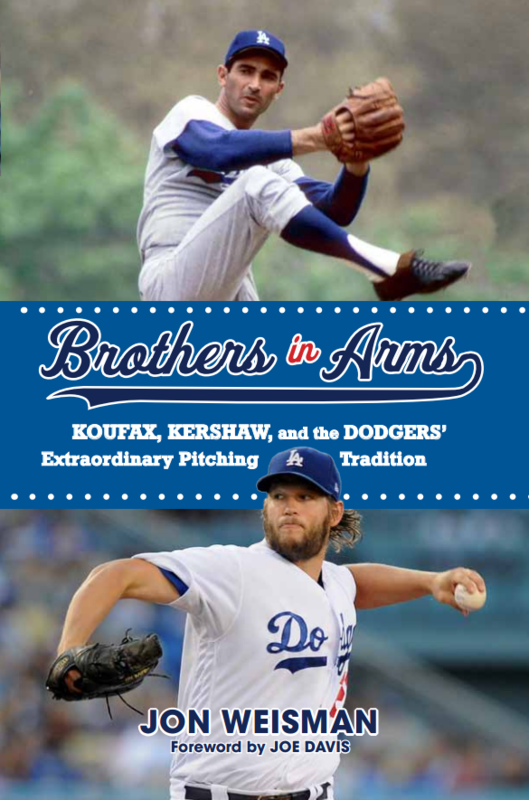 This might have been the best 1-2 battle in this history of Dodger Cogs and Dogs. 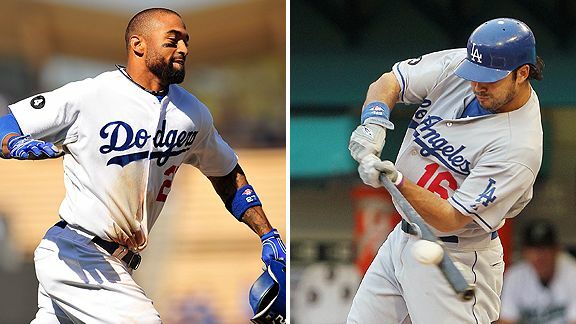 I gave the nod to Matt Kemp, but feel free to throw your support Andre Ethier’s way. And if Clayton Kershaw could have closed out his recent starts more strongly, it might have been a three-way battle. Anyway, there was lots of activity in the 20-game stretch since the last Cogs and Dogs, but the overall picture is the same: There’s a guy in the top 10 who isn’t hitting .200. As always, Cogs and Dogs mixes subjectivity and objectivity and focuses on what’s already happened, not what’s likely to happen. 1 2 Matt Kemp It’s been a good year when an .804 OPS over past 10 games is a slump. 2 3 Andre Ethier Ethier’s hot start isn’t just luck, writes Chris Cwik of Fangraphs. 3 4 Hiroki Kuroda Five walks, 23 strikeouts in 33 2/3 innings. 4 1 Clayton Kershaw Has been removed mid-inning in past four starts. 5 10 Casey Blake Stuck on the sidelines with a .956 OPS. 6 5 Jamey Carroll On pace to play in 156 games in 2011. 7 18 Chad Billingsley Groundout/flyout ratio above 1.0 for first time in career. 8 — Jon Garland Three walks in 20 innings. 9 6 Rod Barajas On pace to bat .182 with 31 homers. 10 25 Juan Uribe Nine of his 13 RBI this season came in 40-hour stretch. 11 13 Mike MacDougal I’m surprised Old School fans haven’t mentioned him as a closer candidate. 12 8 Matt Guerrier Chicago outing was worst-timed relief outing of Dodger season. 13 19 Marcus Thames Five starts this season, none since April 13. 14 — Jerry Sands After nine games, he’s third on team in doubles. 15 22 Blake Hawksworth A RHP who has held lefties to .174 OBP. Righties have .367 OBP. 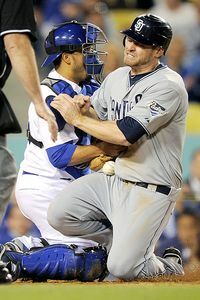 16 9 Jonathan Broxton Don Mattingly said Broxton’s elbow was “barky” Wednesday, reports Tony Jackson of ESPNLosAngeles.com. 17 12 Tony Gwynn Jr. Puts the ball in play: 53 plate appearances, two walks, five strikeouts. 18 14 Ted Lilly Opponents hitting .321 against him (.359 BABIP). 19 — Vicente Padilla 39th player to notch a save and a shutout as L.A. Dodger. 20 24 Kenley Jansen Seven strikeouts in past two games, 20 in 12 1/3 innings in ’11. 21 20 Aaron Miles Eighth on team in plate appearances and climbing. 22 15 A.J. Ellis Tied for fifth on team in walks with four. 23 17 James Loney Doubled on Opening Day – none since. 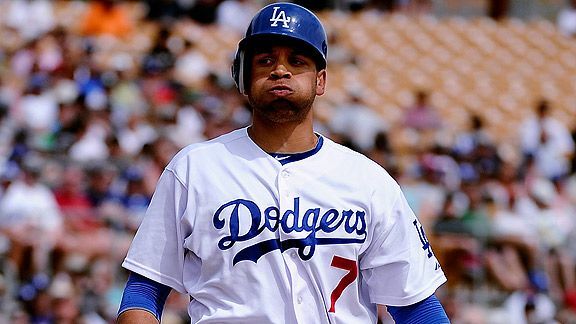 24 7 Rafael Furcal Five hits in April not exactly what Dodgers hoped for. 25 16 Hong-Chih Kuo Rehab struggles indicate activation isn’t imminent. 26 — John Ely Tied for second on team in times caught stealing. 27 11 Xavier Paul Dodger career ends with .280 OBP, one homer. 27 26 Ivan De Jesus Jr. .313 OBP vs. starters, .000 OBP vs. relievers. 29 — Dioner Navarro Be sure to check the splits on Navarro’s 2011. 30 21 Hector Gimenez One of 74 players with exactly one career hit as Los Angeles Dodger. 31 — Jamie Hoffmann 0 for 4 in brief stint. 32 23 Lance Cormier Has pitched one inning since April 15. 33 — Ramon Troncoso How do you give up 12 hits in 2 2/3 innings? As if one divorce involving Dodger ownership weren’t enough, now we have another. Jamie and Frank McCourt is so last year. Now it’s Bud Selig and Frank McCourt unjumping the broom, and I tell you, next to the lousy fourth season of “Big Love,” it’s the biggest argument against plural marriage I’ve seen. In his news conference today, McCourt expressed sincere surprise that he ended up a divorced husband – he never expected it to happen. And I’m guessing that when he rode the support of Major League Baseball’s commissioner to the purchase of the Dodgers in 2004, McCourt never fathomed the kind of split that erupted with last week’s MLB takeover of day-to-day operations of the Dodgers. But a split it is – a regular San Andreas, to a fault. The two parties can’t even agree, at least publicly, on what is happening. McCourt raged against his property being seized unlawfully, while Selig’s proxy, MLB executive vice president of labor relations Rob Manfred, said “there has been no seizure of the Los Angeles Dodgers.” McCourt said that Selig vetoed the Dodgers’ TV deal with Fox; Manfred countered that nothing of the kind occurred (yet). Selig and McCourt are in sync on only one thing: The bad spouse is the other spouse. Where have we seen this before? Today, McCourt directed to Dodger fans what for him was an unusual level of contrition, expressing regret over his behavior as Dodger owner and promising to do better if given a second chance. But McCourt once again showed that his amends only go until they run smack-dab into the wall of his self-interest. He made a big show of pledging directly to the Dodgers the initial $300 million of his proposed Fox deal, as if this were some beyond-the-call gesture, while leaving unsaid what happens to the remaining revenue that could amount to as much as 90 percent of the total. He insisted that the contract extension with Fox will bring the Dodgers nirvana, ignoring the unmistakable reality that an owner who wasn’t in hock to the network would assuredly be able to do better for the franchise. McCourt swears he’ll do better by Dodger fans, while in the next breath gearing up to do one thing guaranteed to make things worse: sue MLB over control of the team. If it is McCourt’s right to sue – a point that’s debatable depending upon your interpretation of his ownership agreement with MLB – then let him sue away. But how dare he claim, yet again, that he has the interests of the fan base at heart. His ownership stands, more than ever, at direct odds with what the Dodger community wants and needs. “Everyone deserves a second chance,” McCourt said. This is not in fact true – some people don’t deserve a second chance, depending on the circumstances – but even if it were true in McCourt’s case, he doesn’t deserve his second chance more than others deserve a first chance – starting with Tom Schieffer, the monitor sent to Los Angeles by MLB to get to the bottom of this mess at the top. I don’t know if Schieffer will be good, bad or somewhere in between, but if anyone gets the benefit of the doubt, it’s the new boss. It’s highly unlikely he’s the same as the old boss. As I listened via telephone to the audio of McCourt’s press conference, I heard him refer to one of his four children being by his side and how hard this entire experience has been for them. I don’t doubt it for a second. But it’s not stretching things to suggest that McCourt has another set of children who have, relatively speaking, nursing their own wounds over the past two years. Those kids buy three million tickets a year to see the Dodgers, with millions more watching on TV, listening on the radio or following on the Internet and in the papers. It would have been interesting if any one of those kids had been on the dais with McCourt as he couldn’t resist making himself the biggest victim. As if, however this plays out, McCourt won’t come away with more cash than he walked into Dodger Stadium with seven years ago. Dad, we’re all grown up now. And we’re tired of your complaints over a fate you engineered and your hollow apologies. We’re ready for new parents, and if it means being wards of the state for a while, so be it. Let it be. Otherwise, don’t pretend that you’ve changed. I’ll have more later on today’s dueling Dodgers press conferences — one with owner Frank McCourt in New York, the other with MLB monitor Tom Schieffer in Los Angeles. In the meantime, here are links to first-look news stories on McCourt from Tony Jackson of ESPNLosAngeles.com and myself at Variety. Embattled Los Angeles Dodgers owner Frank McCourt today gave his strongest indication yet that he will sue Major League Baseball for standing in the way of his attempt to extend the Dodgers’ cable TV deal with Fox. McCourt spoke to reporters in New York City shortly after saying he got word in a meeting with MLB executives that commissioner Bud Selig had vetoed the deal, which McCourt said would extend Fox’s cable coverage of the Dodgers through 2027 and also provide an equity stake in Fox’s Prime Ticket. The Dodgers’ current deal with Fox runs through 2013. However, MLB later issued a statement saying that it had not vetoed the Fox deal, but was waiting to rule on it pending its investigation into McCourt’s and the Dodgers’ finances. 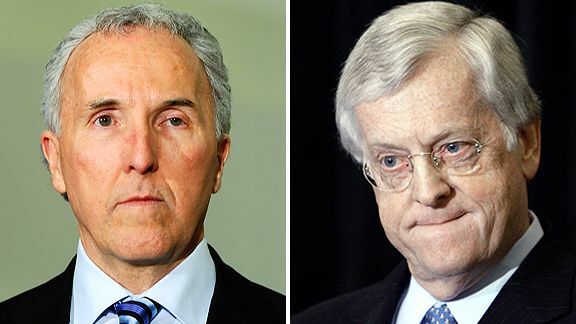 … In a nod to the concerns over how much Dodger revenue he and his now-estranged wife had allocated for personal spending, McCourt said today that the proposed Fox deal would include an immediate payment of $300 million going directly into the Dodgers. “None of those dollars (would be) used in any personal way,” McCourt said. 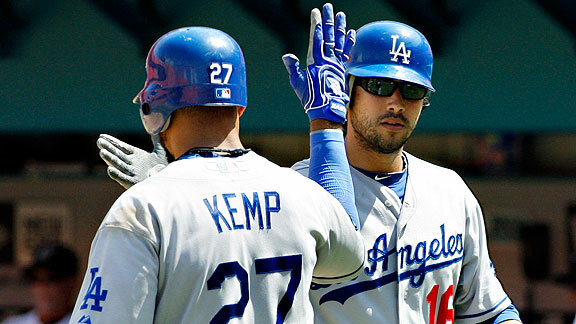 Jeffrey M. Boan/AP Andre Ethier, congratulated by Matt Kemp, leads the majors with 38 hits. His pace is 237 for the season. For the second time in the past five days, the Dodgers rallied from a four-run deficit — but unlike in Chicago, this time they hung on for a 5-4, 10-inning victory over Florida today. Andre Ethier, who extended his hitting streak to 24 games with a fourth-inning single, hit a leadoff homer in the top of the 10th inning off the Marlins’ eighth pitcher, Brian Sanches — who had been unscored upon in 13 2/3 innings this season. Chad Billingsley allowed five hits in six innings, but unfortunately, all five came in a four-run second inning (capped by a three-run double by Chris Coghlan, who had 12 total bases in the three-game series). But Rod Barajas hit a three-run homer, his fifth of the year, after singles by Ethier and James Loney in the fourth inning. The Dodgers tied the game in the seventh on an RBI double by pinch hitter Juan Uribe. The Dodgers had a chance to win in regulation time after loading the bases on walks with one out, but Ivan De Jesus Jr. hit into a double play. And they had a chance to lose it when two hits off Matt Guerrier, one courtesy of an Aaron Miles misplay, helped the Marlins get to second and third with one out in the bottom of the ninth. Guerrier then retired Scott Cousins and John Buck. Marlins starter Anibal Sanchez, who took a no-hitter into the ninth inning in his last start, left after five innings and only 74 pitches today. Vicente Padilla, who had been warming up in the bullpen with the score tied after nine innings when Ethier homered, entered the game anyway for the bottom of the 10th and closed it out on three groundouts. Ethier, who moved ahead of Matt Kemp (1-for-3 with two walks) as the team’s batting-average leader, .380 to .378, is now tied with John Shelby and Zack Wheat on the Dodgers’ all-time hitting streak list. 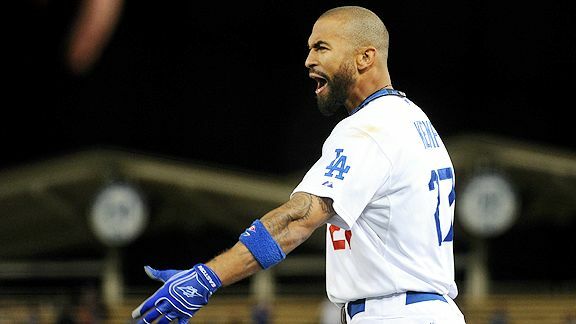 Kemp still leads Ethier in on-base percentage (.460 to .451) and slugging percentage (.612 to .560). “FM” soundtrack week continues on Dodger Thoughts with Dan Fogelberg. Dodgers at Marlins, 9:10 a.m.
Update: Casey Blake is likely headed to the disabled list with an elbow infection. Russ Mitchell is the best bet for a callup. Tony Jackson has details at ESPNLosAngeles.com. As a unit, James Loney, Juan Uribe, Rafael Furcal and Casey Blake have started two of the Dodgers’ first 26 games this year. So-called backup infielder Jamey Carroll is making his 21st start of the season today, and Aaron Miles is making his 13th. Rod Barajas is also making his 21st start today. Andre Ethier and Matt Kemp have each played 219 2/3 of the Dodgers’ 222 2/3 innings this season. Loney has played 211 2/3 innings. Left-field innings have been allocated thusly through Tuesday: Tony Gwynn Jr. 87 2/3, Jerry Sands 74 2/3, Marcus Thames 33, Xavier Paul 19, Jamie Hoffmann 8, Casey Blake 1/3 of an inning. … Casey Blake was on the bench again, but for a different reason than the previous night. Blake, who felt something in his left thigh Monday night, showed up to the ballpark with a grossly swollen left elbow. “I hit something somewhere along the line,” Blake said. Hooray for James Loney and Andre Ethier. Loney had a “Thanks, I needed that” game, going 4 for 4, while Andre Ethier’s first-inning double gave him the MLB April hitting streak record with 23 games in a row. But Clayton Kershaw, despite displaying his defensive prowess yet again, couldn’t hold 1-0 and 2-1 leads, ultimately getting knocked out in the sixth inning of a 4-2 loss to Florida tonight. The Dodgers barely get 14 hours to think about it before heading back out for a game Wednesday at 9:10 Pacific. Extension: Ethier doubled in a run in the first inning, extending his hitting streak to 23 games. Jonathan Broxton was told by Los Angeles Dodgers manager Don Mattingly on Tuesday that he is still the team’s closer despite widespread media reports that the team had decided to go with a closer-by-committee approach in the wake of Broxton’s blown save on Monday night against the Florida Marlins. Mattingly saw one of those media reports, on the MLB Network, while working out on Tuesday morning and immediately decided to meet with Broxton to reassure him that the job was still his. 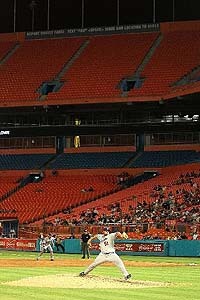 That closed-door meeting, which also included pitching coach Rick Honeycutt, took place in the visiting clubhouse at Sun Life Stadium on Tuesday afternoon, a few hours before the Dodgers played the Marlins. The Marlins scored three runs off Broxton after two were out and nobody was on base in the ninth inning on Monday night to beat the Dodgers 5-4. Those media reports stemmed from comments Dodgers general manager Ned Colletti made during his weekly radio interview on Tuesday morning with KABC’s Peter Tilden. Although Colletti never used the term “closer-by-committee,” he did mention the names of at least two other pitchers — Hong-Chih Kuo, who is on the disabled list but expected to return as early as Friday, and Vicente Padilla, who came off the disabled list on Friday and has since had one strong outing and one shaky one — as possible closer candidates. Contacted by ESPNLosAngeles.com, Colletti downplayed the implications of what he had told Tilden earlier in the day. Also, Jackson reports that Frank McCourt is meeting in New York on Thursday with MLB execs — but not commissioner Bud Selig. Finally, Xavier Paul was claimed on waivers by Pittsburgh, where he’ll be a teammate of Brandon Wood, recently claimed from the Angels, and former Dodger James McDonald. Kevork Djansezian/Getty Images James Loney has 20 total bases (plus three walks) in 24 games. Three years ago, Andruw Jones disgusted Dodger fans with the quality of his play. That 2008 season, like this one, started on March 31. Through games of April 25, Jones had one home run, a .264 on-base percentage and a .273 slugging percentage. To James Loney, those numbers are a sight for sore eyes. Loney singled home a run in Monday’s game. That lifted his OBP on the season to .194 and his slugging to .213. He is the worst-hitting regular in major-league baseball. It’s a nightmare, with few saving graces other than the fact that Loney is younger than Jones, gets paid less and doesn’t smile uncomfortably to mask his pain. The problem is not that Loney will hit this poorly forever – he won’t. The problem is that it seems less and less unlikely that, after three consecutive seasons of decline from 2008-10, he’ll take the step forward that the Dodgers have been counting on him to take. It pains me to say it because I’ve always liked Loney. As I said earlier this month, my theory is that the bid to coax more homeruns out of Loney has had the opposite effect, messing him up to the point where not only is he not hitting home runs, he’s not hitting doubles either. Loney, who had 41 doubles in 161 games last year, has just one in 24 games this year, to go with his sole home run three weeks ago. Or maybe it’s just that pitchers have figured Loney out, and he is just at a loss to adjust. Either way, Loney is a problem in search of a solution. The Dodgers can keep playing him and hope their faith is rewarded with a recovery. They can rest him, and hope that clearing his head leads to a recovery. They can try to trade him, despite his horrible slump, perhaps selling another team on the theory, as Mike Petriello proffered at Baseball Prospectus, that leaving Dodger Stadium will accelerate his recovery. Or, they can bench him. If they look behind Door No. 4, what options would they find? The youth, or youthier, movement could continue with Trayvon Robinson coming up from Albuquerque and Jerry Sands (or Andre Ethier, if Don Mattingly were so bold) moving to first base. Sands moves to first base, and the Dodgers return to the Tony Gwynn Jr./Marcus Thames platoon. Casey Blake could play some first base, though you lose some of his value moving him away from third base. This would become more viable once Rafael Furcal returns from the disabled list. Not too thrilling, is it? We’re at a point where a return of the merely adequate Loney would come as a great, if temporary, relief. As I feared when he entered the game as a relief catcher in the seventh inning, Dioner Navarro couldn’t close out the three-inning save. 1) With a 4-3 lead, Jonathan Broxton is within one strike of a perfect ninth and a save. 2) Broxton walks Emilio Bonifacio. 3) Broxton gives up a single to pinch-hitter Hanley Ramirez to put the tying run at third. 4) Scott Cousins up. A called strike, then a slow roller. Jamey Carroll charges, sticks down his glove and comes up completely empty. Bonifacio scores the tying run. 5) Cousins takes second base on defensive indifference. 6) Chris Coughlan, who homered twice off Jon Garland, is walked intentionally. 7) Omar Infante, who bailed Vicente Padilla out of the eighth inning by getting thrown out by Matt Kemp at third base, lines a catchable but hard-hit shot past Jerry Sands for a game-winning single. Dodgers lose to Florida, 5-4. And that’s really what the Broxton slide has been about – a loss of dominance (since mid-2010), punctuated by recurrences of really bad timing. 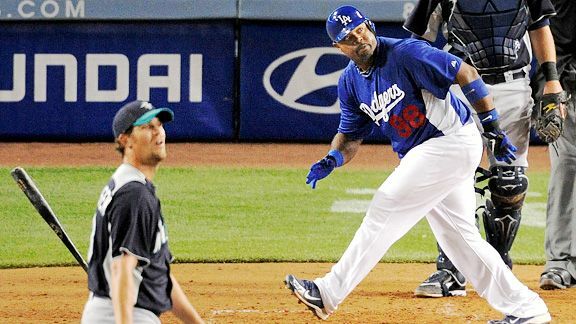 When Padilla gave up an RBI single to Gaby Sanchez the inning before to cut the Dodgers’ lead to one run, I commented, “The way that the Dodger bullpen has been this season, how does anyone have any anger left by the time Broxton gets into a game?” Of course, I know the answer. I think if 1) Cousins had delivered a hit instead of what should have been a game-ending ground out, tonight might have marked the end of Broxton’s run as a Dodger closer if 2) there were any alternative doing better. But there isn’t. There’s no way around the fact that the Dodger bullpen is underperforming as a unit, and all fans can do is wait for someone to get it together, or look for Ned Colletti to make a desperation move (approved by his new overlord, profiled here by Tony Jackson of ESPNLosAngeles.com) that somehow makes a difference. Broxton is the last bit of air out of the leaky balloon that is the relief crew. For the visitors, it was a grind-it-out game virtually the whole way. The Dodgers fell behind 2-1 on the two Coughlan homers, but came back thanks to Rod Barajas reaching first base after striking out on a wild pitch, Ivan De Jesus getting his second hit of the game (and third of his career), Jon Garland laying down a sacrifice bunt, Aaron Miles driving in a run with a groundout and then Carroll, looking like a hero, delivering an RBI single for a 3-2 lead. The Dodgers’ fourth run came from its most downtrodden hitter, James Loney, pushing a single to center past a drawn-in infield. It was that close to a night of well-earned celebration for the Dodgers, who saw Sands get three hits and Andre Ethier break baseball’s all-time April hitting streak record with a first-inning single that extended his skein to 22 games. But for the second time in three games, the bullpen couldn’t finish. When Dioner Navarro went on the disabled list near the end of Spring Training, A.J. Ellis did all you expect A.J. Ellis to do: 19 plate appearances, four singles, four walks (.421 on-base percentage), no extra-base hits. For that, the Dodgers put Ellis on the Wolverine up to Annandale today, while Navarro comes off the disabled list to start earning that million bucks. He’ll back up starting catcher Rod Barajas. Meanwhile, Juan Uribe is still nursing his sore quad, and Casey Blake is getting a day off after playing seven days in a row (10 for 27, two homers, six walks, 10 runs), so today’s Dodger lineup features both Aaron Miles and Ivan De Jesus Jr.
As Steve Dilbeck of the Times notes, the Dodgers’ offensive resurgence of the past week coincided with facing, for the most part, less-than-elite pitchers. Florida poses a tougher challenge this week, although the Dodgers will miss Josh Johnson (1.06 ERA, 22 baserunners, 33 strikeouts in 34 innings). Florida is one of only four teams in the National League that are more than a game over .500. The Dodgers are one of seven teams within a game of .500. For your pregame enjoyment: Ernest Reyes of Blue Heaven passes along this look at Jackie Robinson’s 1938 Muir High School yearbook.